Tigo is a Senegalese telecommunications and mobile telephony company owned by a Franco-Senegalo-Malagasy conglomerate. Since its launch in 1999, Tigo Senegal has gained substantial shares of the Senegalese market. Tigo has been run by Milicom a Luxembourg-based telecommunication company present in both Africa and Southern America. Thanks to investments of more than 500 billion Frs CFA deployed between 2012 and 2016, Tigo is now the second telecom operator in the country. Since 2012, Tigo has significantly reinforced and enlarged its network. It now covers 14 Senegalese provinces. In 2013, Tigo pioneered wifi services in Dakar’s public transportation network. The same year Tigo also created Tigo Kiiray, the country’s first mobile life insurance service. In 2014, Tigo Senegal created Tigo Cash, the operator’s own mobile money service. Simultaneously Tigo introduced a major innovation made to strengthen its customer services –Tigomatic- a 24/7 self-service counter. Thanks to Tigomatics, clients are able to buy SIM cards, transfer money, and refill their mobile credits instantly. In 2015, Tigo launched Tigo Business a service specially conceived to answer business’s needs. In 2016, Millicom announced its withdrawal form the African market, due to unsatisfactory profitability and regulatory constraints. In 2017 Tigo is approached by Wari group. The sale is however cancelled in favor of the Franco-Senegalese-Malagasy conglomerate (Xavier Niel, Yerim Sow and Hassanein Hiridjee), and confirmed by presidential decree in April 2018. Tigo currently employs 247 people directly and upwards of 15 000 people indirectly. 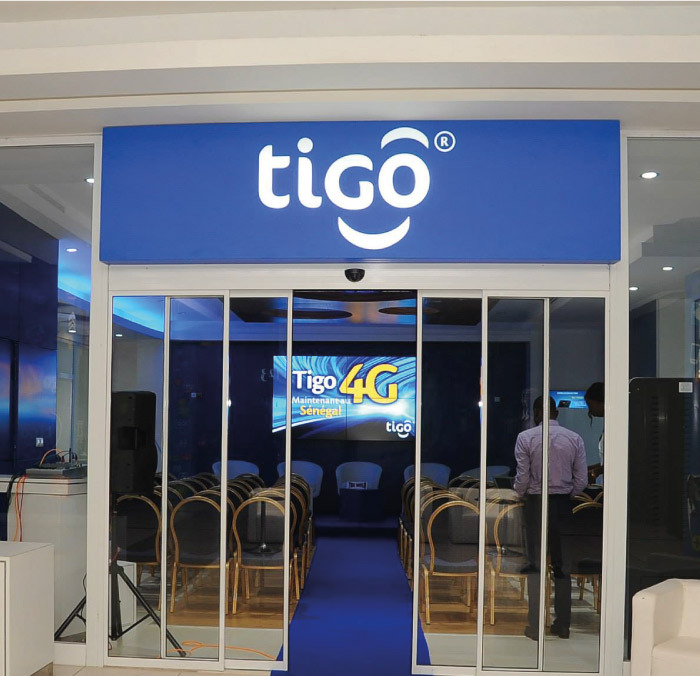 More than 3,3 million clients use Tigo’s mobile services, internet and financial services. Since 2015, Tigo has been building strategic partnerships with companies such as Facebook to offer accessible and qualitative internet plans to its clients. This is in line with Tigo’s mission to make the digital world accessible to all. Tigo continually invests in the modernization of its network infrastructures and the expansion of its coverage. These investments assure that Tigo delivers the fastest and most extensive connectivity to its clients. In December 2016, Tigo’s internet subscribers weighted for 26% of the market. Since 2015 Tigo markets, via Tigo Buisness, offers specially conceived services for companies and businesses.